Preheat oven to 425°. Place Texas toast in a 15x10x1-in. baking pan. Bake 5 minutes. 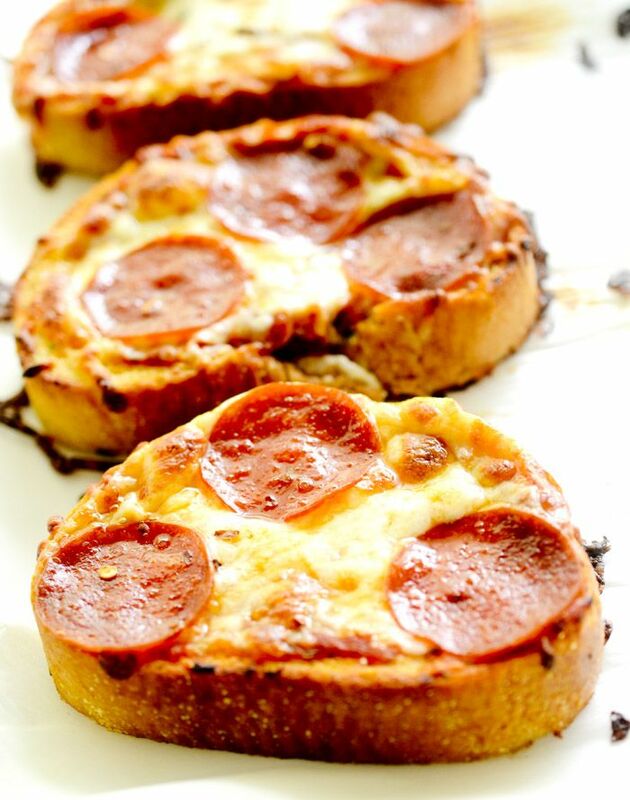 Spread toast with pizza sauce; top with pepperoni and cheese. Bake until cheese is melted, 4-5 minutes longer. 1 slice: 281 calories, 20g fat (8g saturated fat), 58mg cholesterol, 610mg sodium, 14g carbohydrate (3g sugars, 1g fiber), 12g protein.